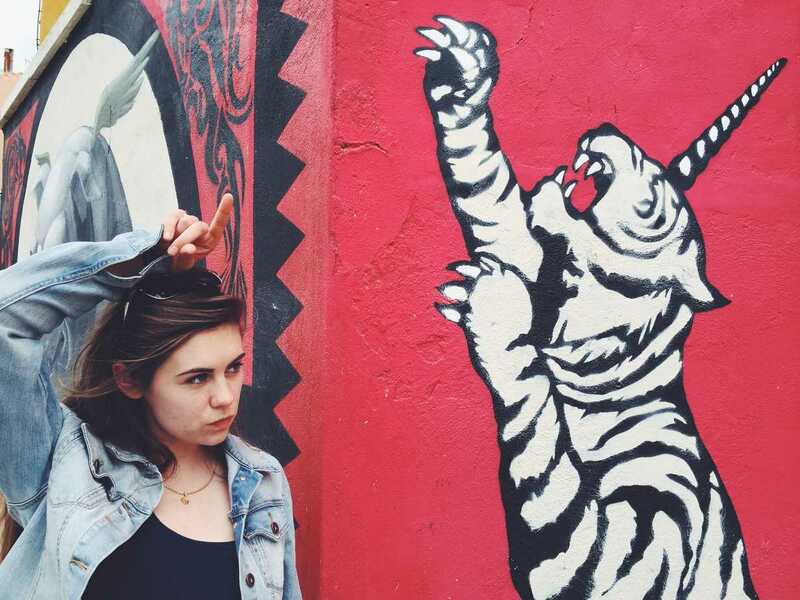 This is a story of marginalization, resilience, and paint. 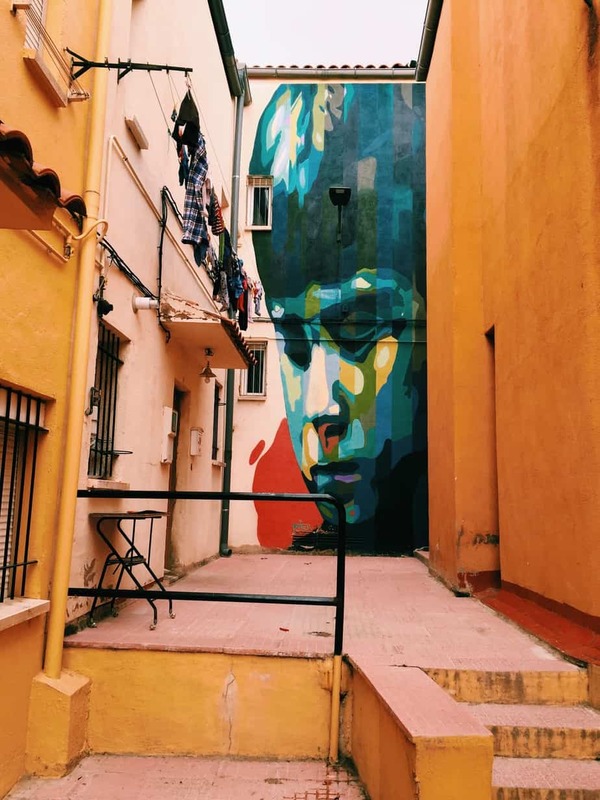 I’ve written about Cuenca, Spain before, this unusual and off the radar city, and my short visit to my friend Tim who’s been living there for the last year. 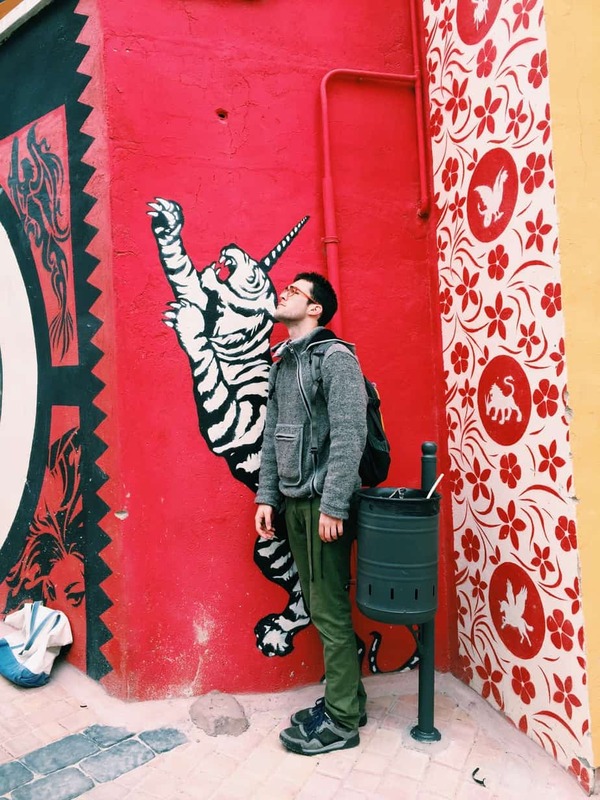 Tim is an artist and a poet, but more than that he is an explorer – and I am so happy he is, or I never would’ve seen the beautiful underbelly of Cuenca. 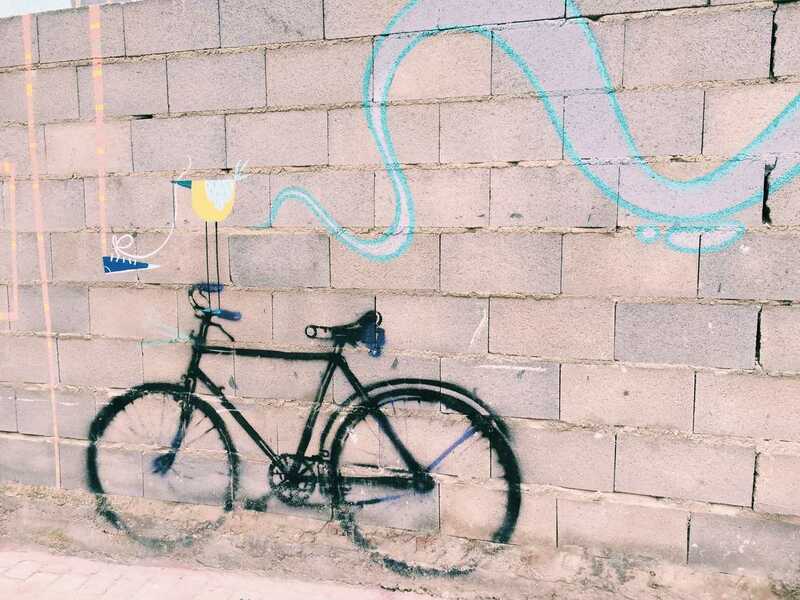 The street art of Barrio San Anton. I was visiting on a chilly April day. 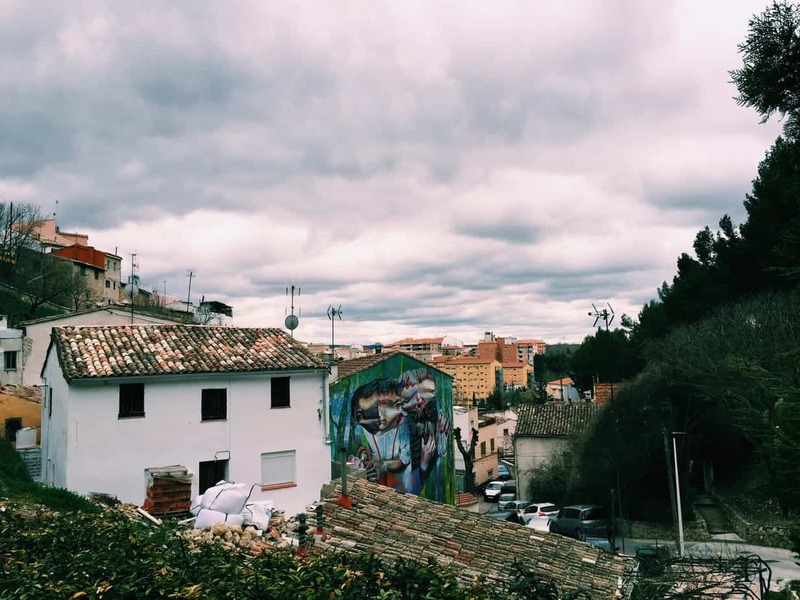 In the afternoon we walked over to Cuenca’s Barrio San Anton. In Spanish, “Barrio” means neighborhood. 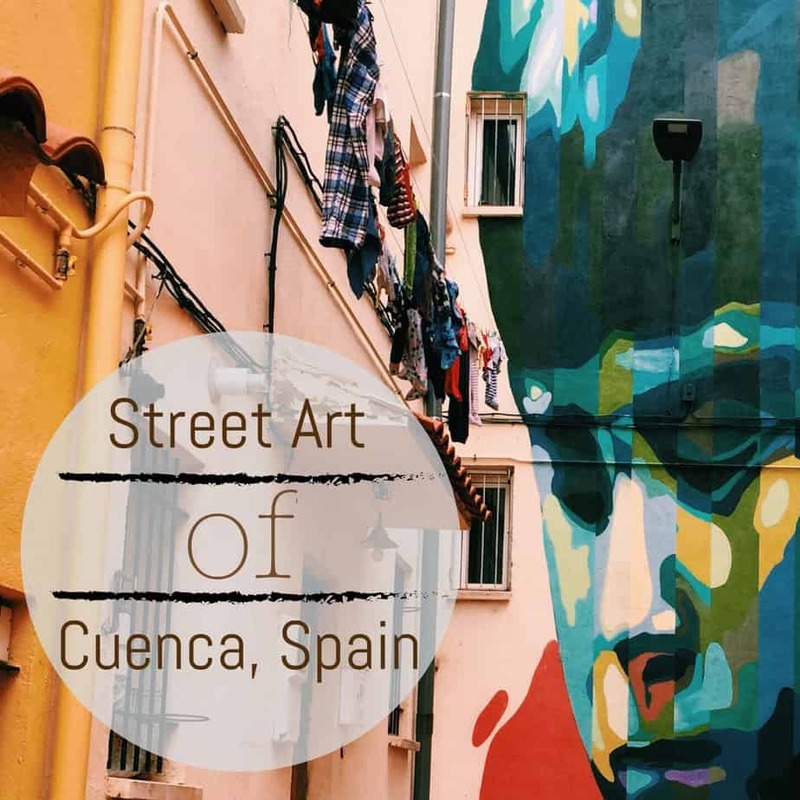 San Anton is now a neighborhood of Cuenca, but formerly it was a separate village outside Cuenca’s walls and jurisdiction. 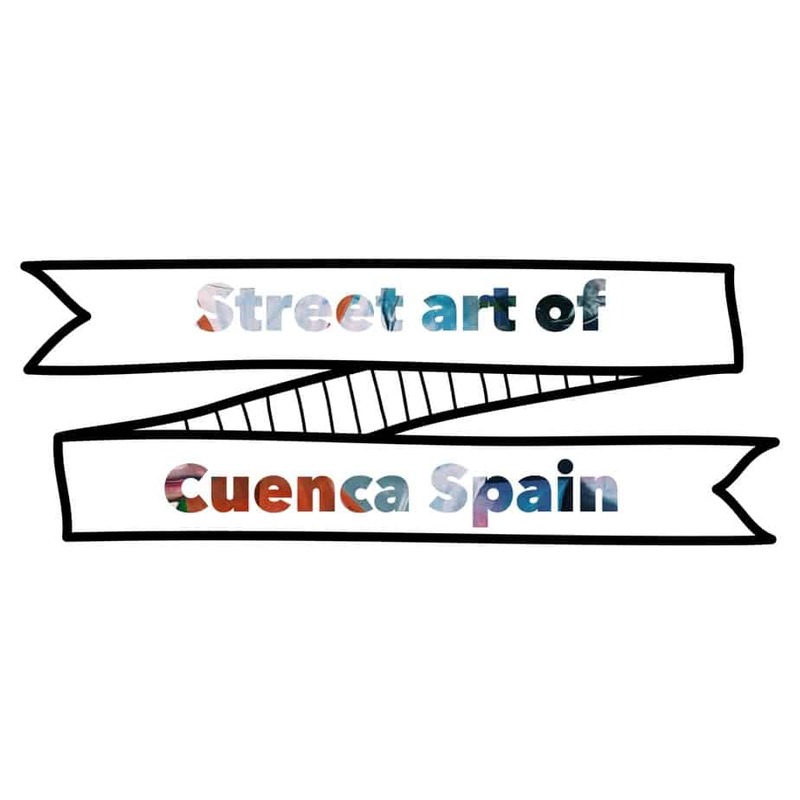 It’s separated from Cuenca’s center by both the physical Jucar river, but also the symbolical social strata. 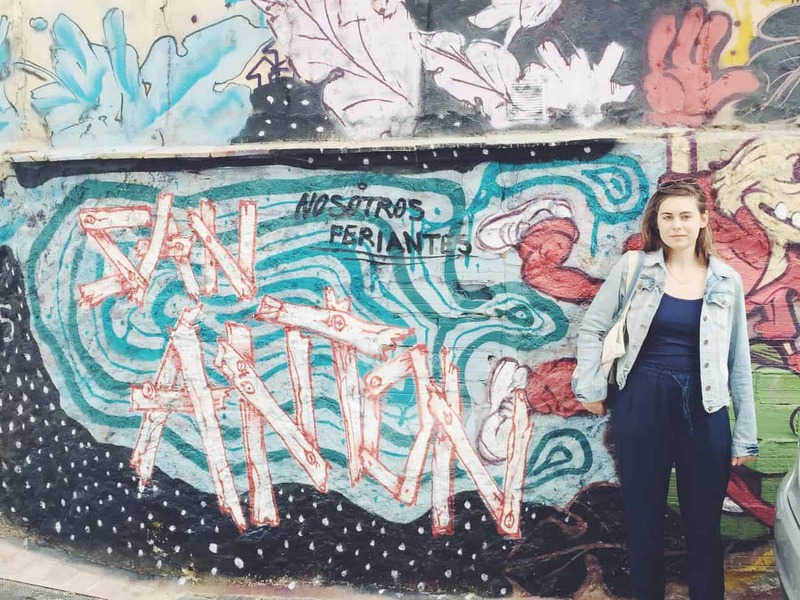 Historically, San Anton is the “rough” area of Cuenca, full of the city’s poorest and most marginalized people. 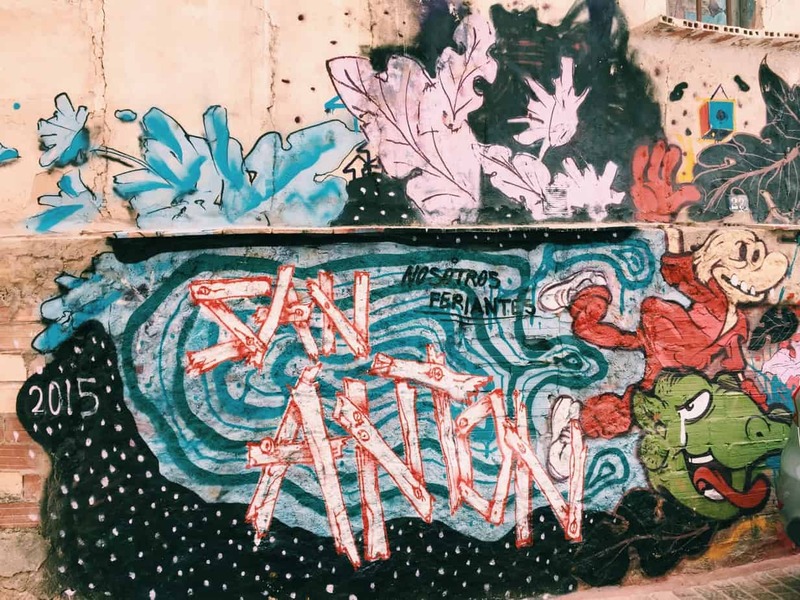 Originally (I mean 1300’s originally) it was a Muslim community, but nowadays San Anton is home to most of the city’s immigrants and struggling artists. 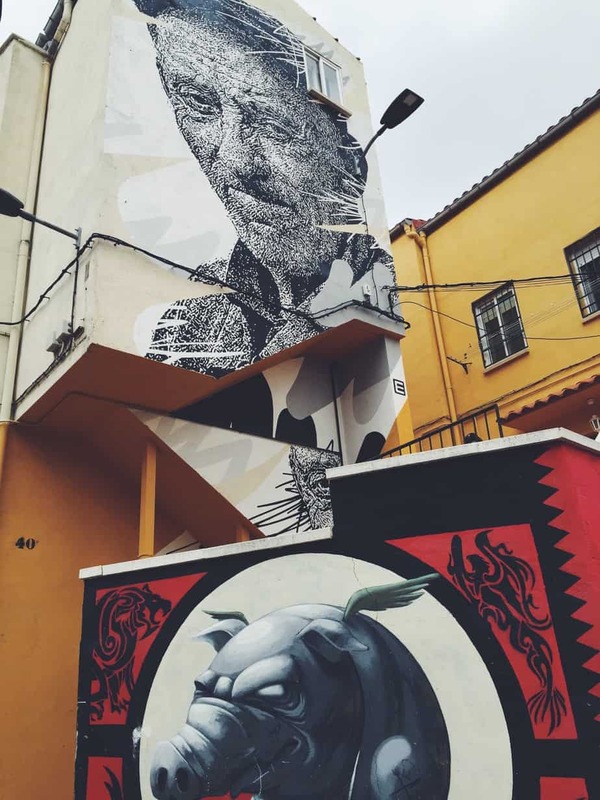 It’s a gritty place with deep yellow houses, teetering stairs leading up alleys, and one singular restaurant which hosts no tables or chairs, but plenty of locals arguing over beers at the bar. 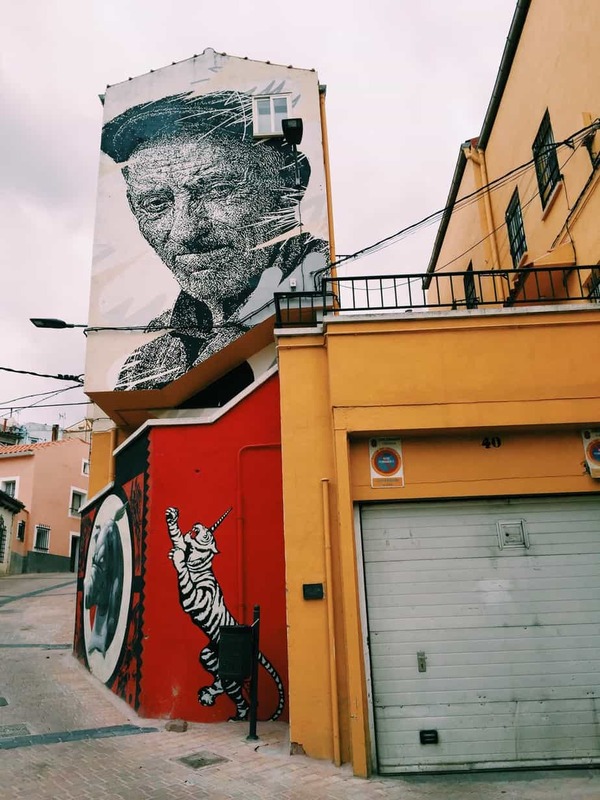 Whilst Cuenca’s Barrio San Anton may seem grimy or unassuming, it’s home to massive, truly massive, murals, graffiti, street art, whatever you wish to call it. 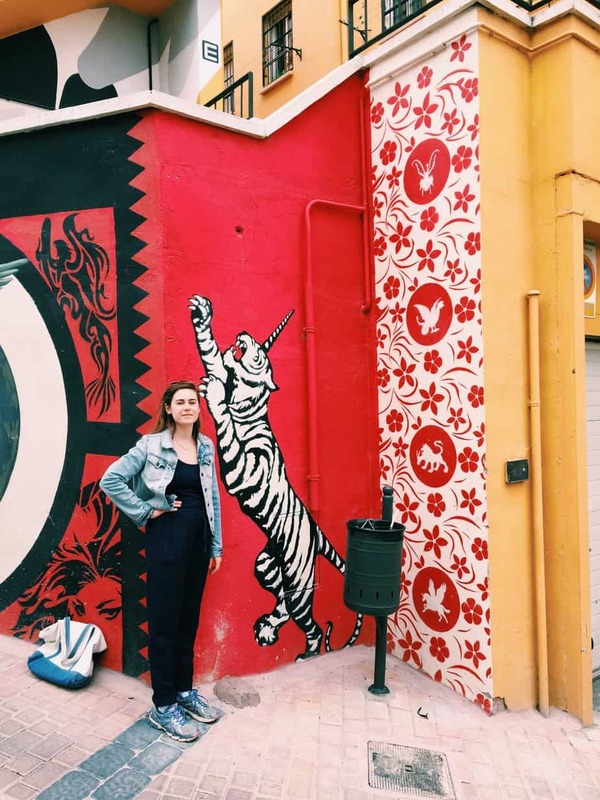 Bright colors, imaginative scenes, every alley or corner you turn into there’s some new fantastical mural gaping at you. 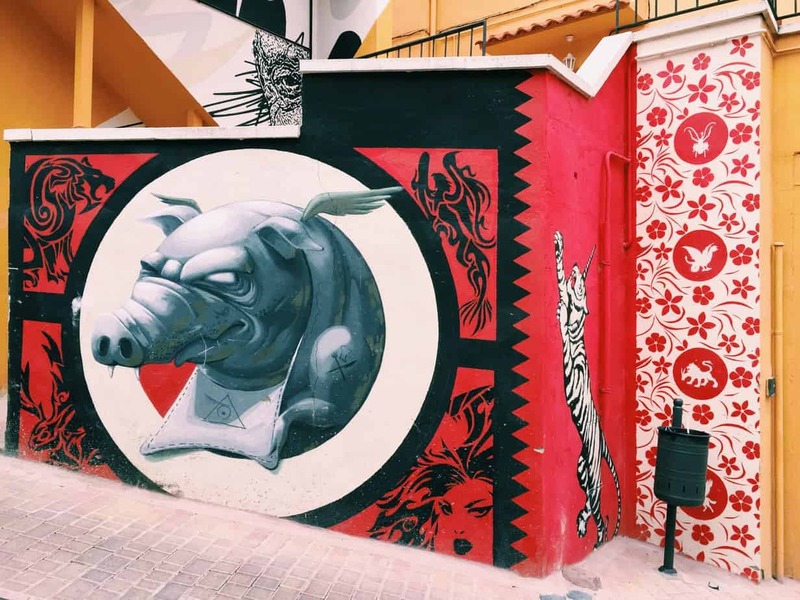 The street art of Cuenca is at home in Barrio San Anton. The project happened in 2015, and from what I can tell is still ongoing. According to Tim, it didn’t all pan out as it was planned. 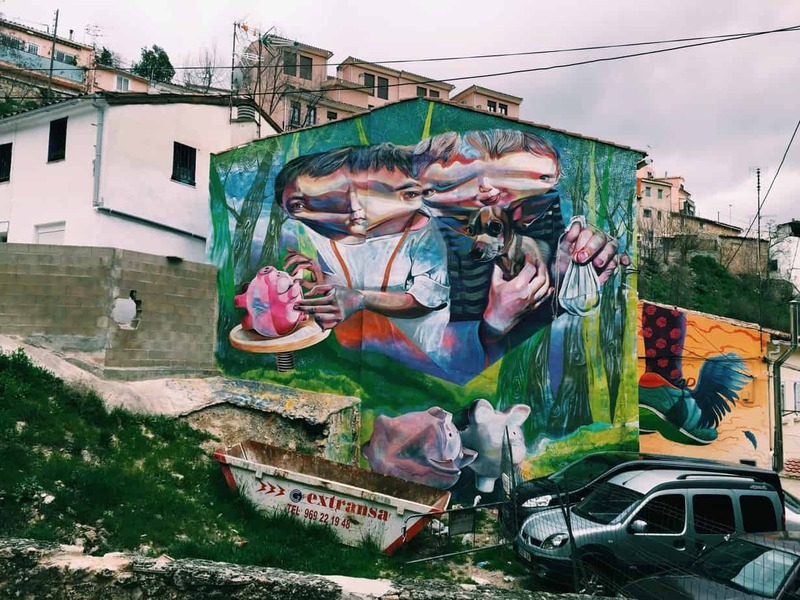 Instead of becoming a gentrified artistic haven, San Anton has continued on in its grimy, resilient ways, this time intermixed with huge detailed murals. 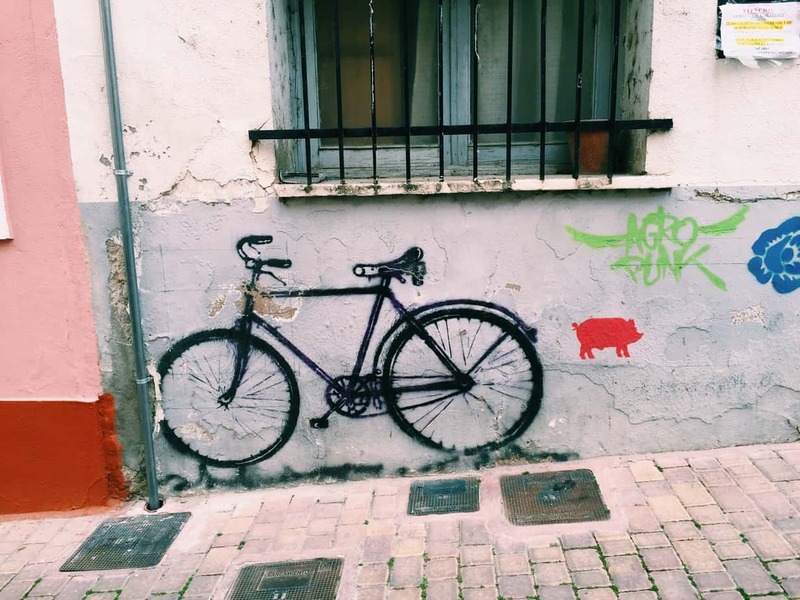 The spirit of San Anton is the same, but now there is street art to go with it. 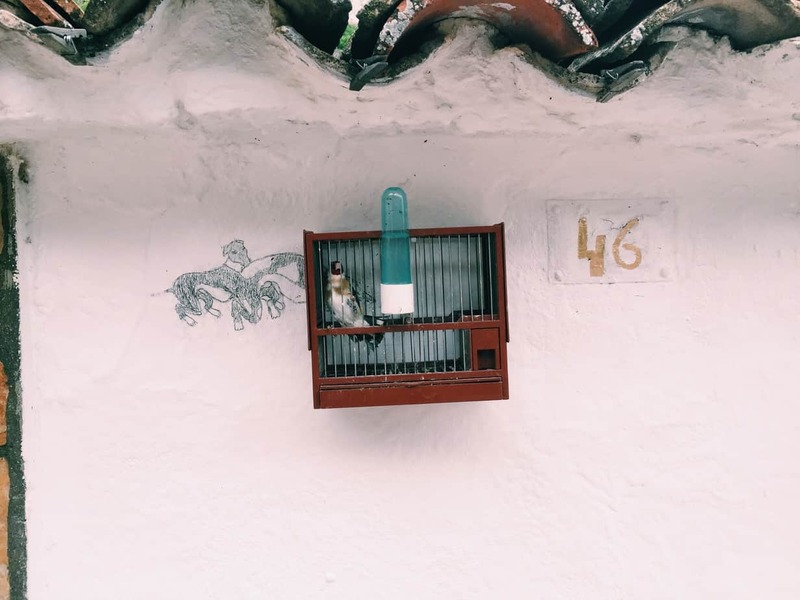 ^ We noticed lots of (wild) birds kept in cages outside doors. Anyone know the significance of this?? 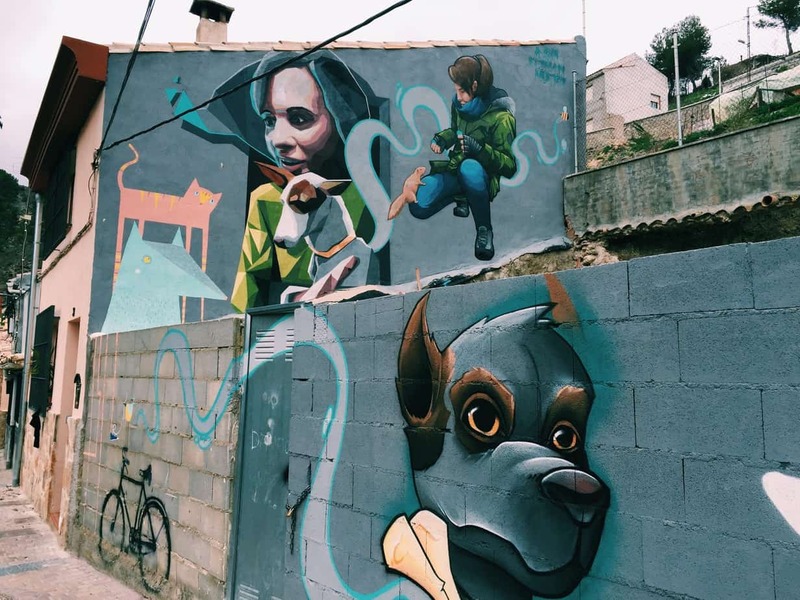 If you ever find yourself in Cuenca, make sure you take a stroll through Barrio San Anton and admire the street art of Cuenca, perhaps the best street art I’ve ever seen. And like the rest of Cuenca, it’s both incredible and unassuming. 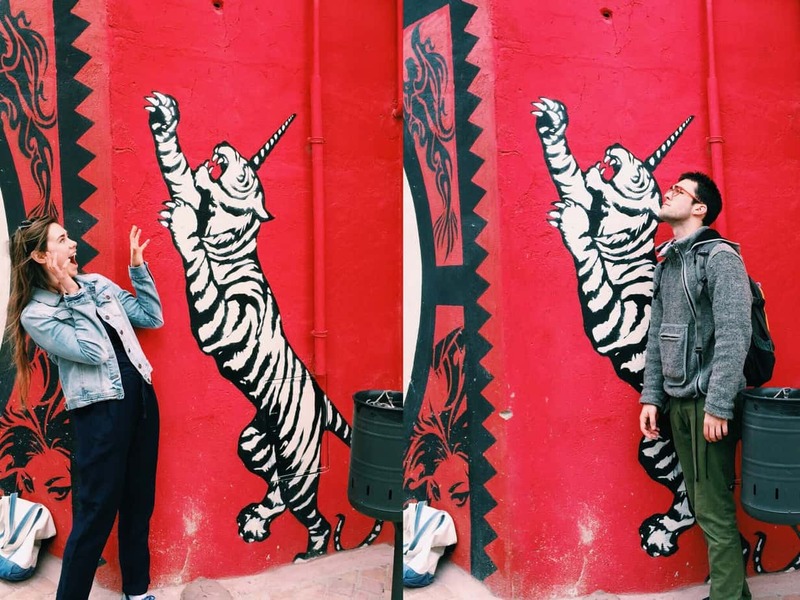 Here’s to resiliency, fighting marginalization, paint, and of course the street art of Cuenca!